Photo taken from Illinois Central (now Metra Electric) railroad tracks before the track was raised. Administration Building, water tower and smoke stack in view. 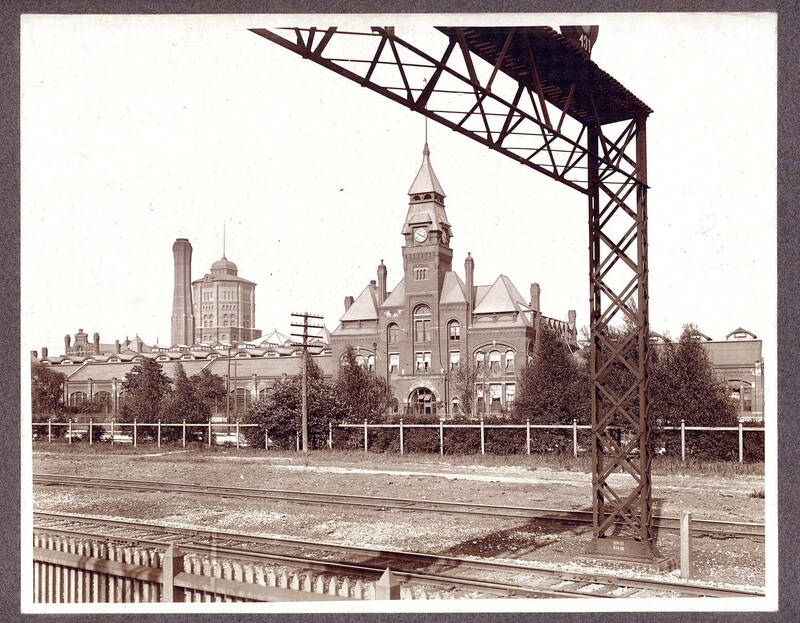 Description Photo taken from Illinois Central (now Metra Electric) railroad tracks before the track was raised. Administration Building, water tower and smoke stack in view.